a) Contacting of the village and area of project. b) Survey of the village and area of project. a) Survey of Slum Area. b) Services in Slum (improvement of life & living conditions). NSVS work on the pamphlets on youth programmes published by the Ministry of Youth Affairs & Sports & Nehru Yuva Kendra. The stipend, travelling allowance and contingency etc. of NSVS is borne by theconcerned Ministry. 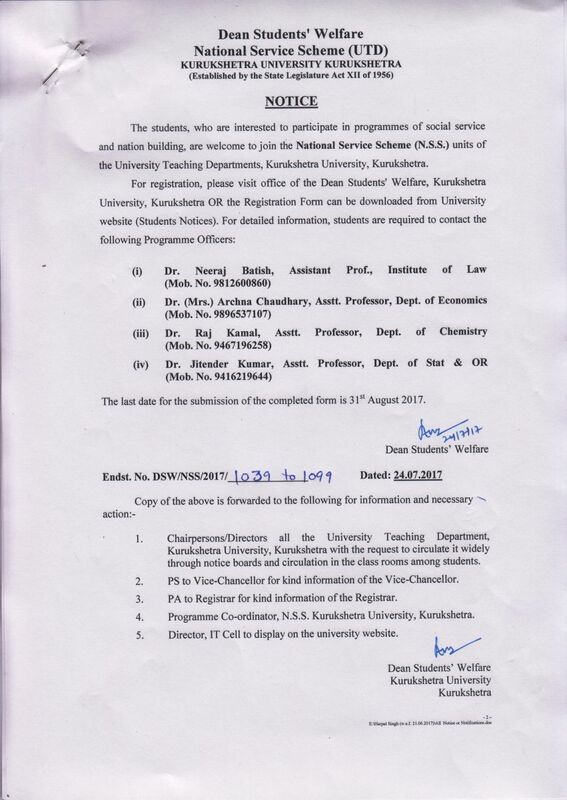 In order to complete 120 hours of NSS regular work, this camp may be organised selectively in consultation with the Principal of the College concerned. f) Healthy Youth for Healthy India.